Nancy Simmerman is the heart and core of this Lummi Island Knit Shop. "In 1991, after more than 30 years in Alaska working as a professional outdoor photographer, I retired to this peaceful island to pursue my passion for spinning, knitting and gardening. I grow fruits and vegetables and live gently on 5 acres in a straw-bale house." 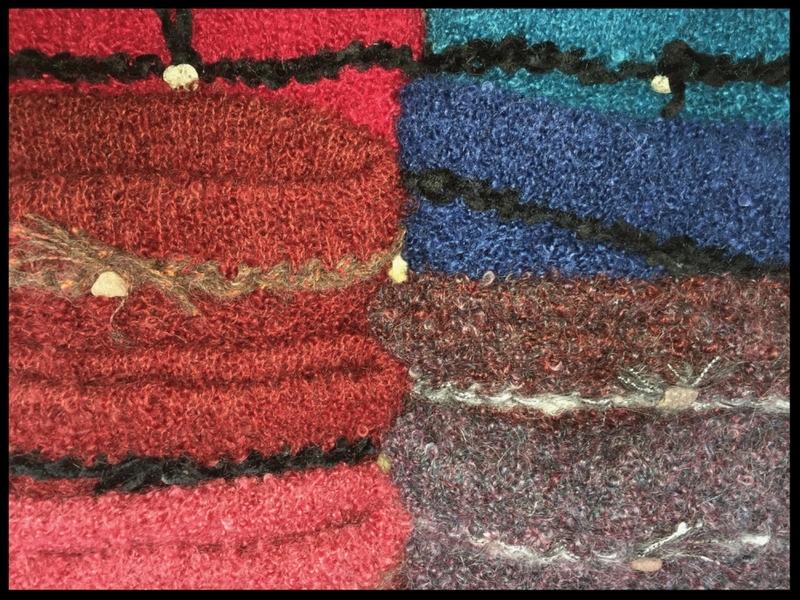 Nancy's sweaters, vests, hats, shawls, scarves are her original island-inspired designs. Carefully and individually hand crafted, Nancy's knitwear will provide years of warmth with unique style. Beautiful cables, stunning combinations of colors that are hand embroidered on cuffs, collars and hems. Many of her garments feature hand-spun Lummi Island wool and hand-dyed yarns. All are washable. A stunning collection of glass buttons by local glass artist, Art Hohl, are represented at this studio. Nancy's "Beach-Stone Bonnets" are filled with the colors and textures of the beaches on our island. A small rock collected for the purpose of whimsy is truly a piece of the island. Nancy makes Locker-hooked rugs that reflect the environment we live in - Northeasters that slam the island making the sea a deep green-blue, starfish resting in tide pools until the waves return, the rich colors and textures of the forests and meadows of our home - Lummi Island is knit or hooked into each and every piece. 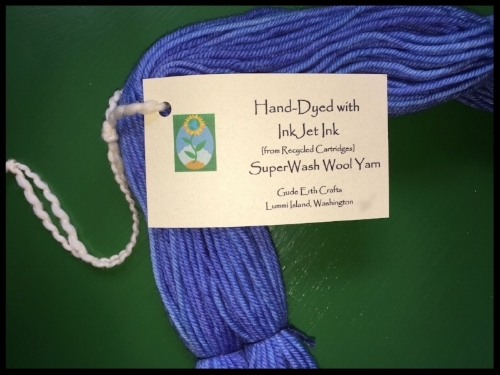 Nancy also sells hand-dyed yarn. She has a unique method using ink-jet printer ink. Amazing and varied colors result.